As you can see from the picture, simply put, Ulderica transpires fashion; she wears her job because she lives her job on a daily basis and her two furkids enjoy the fruits of her labor too, being brand ambassadors for canine style companies. She is probably the best personification of Turin, living near the pedestrian Via Garibaldi, a real open air shopping mall, and displaying her personality through her outfits. She is a bright redhead and you can see her strolling with Hermy and Gigi, the three of them ready out of the pages of a Vogue issue. 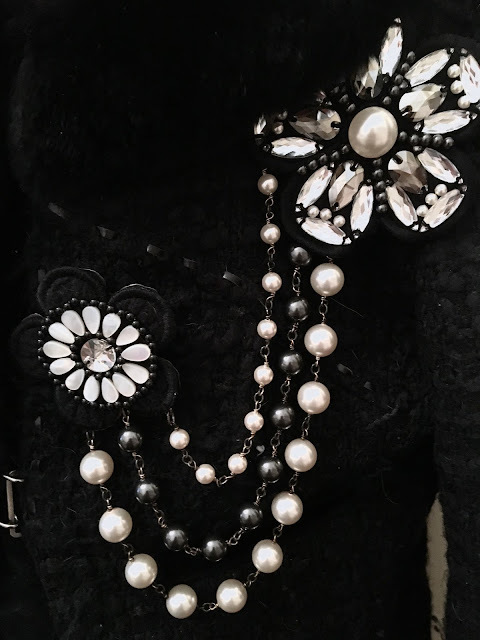 Ulderica in Nov 2014: this parure rocks! This is her real self, the real Ulderica: a genuine fashion lover and expert, a person who has a keen eye for details and all the things the average person doesn't know about, doesn't pay attention to and can't really see. Being fashion and beauty her true skin, Ulderica's real passions are the accessories and especially the jewelry! 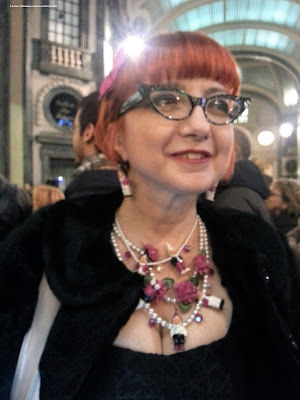 She explains that she dresses the accessories up rather than accessorizing her outfits; "hats and half gloves are the real basis of any outfit" - she said in front of an espresso with nutella - "a piece of jewelry totally renovates any dress". Nobody can deny how the classic LBD can fit both a nun, if carried plain and with flats, and a queen if worn with a crown and designer's heels. Her favorite decade is the 1980s of Mila Schӧn and Coveri (designed by Ernico Coveri in person), but Ulderica also appreciates the quality, creativity and design of smaller and unknown brands. She especially favors big and colorful pieces. One of Ulderica's favorite bijoux designers is Ugo Correani - who also collaborated with Chanel and Versace, because he made macro jewelry pieces mixing and matching different materials. Of all the bijoux pieces, earrings, bracelets and rings directly catch Ulderica's eye, but she has also a deep passion for brooches even if in Italy they still carry the "old woman" stigma... One thing we know: her necklaces are super cool! When we met her in 2014, she was wearing one of the coolest sets ever: earrings and necklace by the German designer Rosa Templin. As you can see in the picture above, Rosa Templin follows topics, likes folk culture but she finds inspiration also in food. 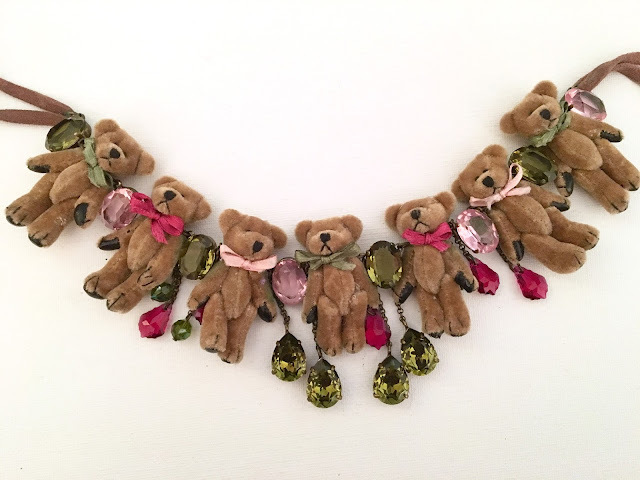 Her collections are seasonal and topics get declined according to the weather and the holidays: gnomes, pralines and teddy bears, flowers and fruits can alternate with pearls and Swarovski crystals. 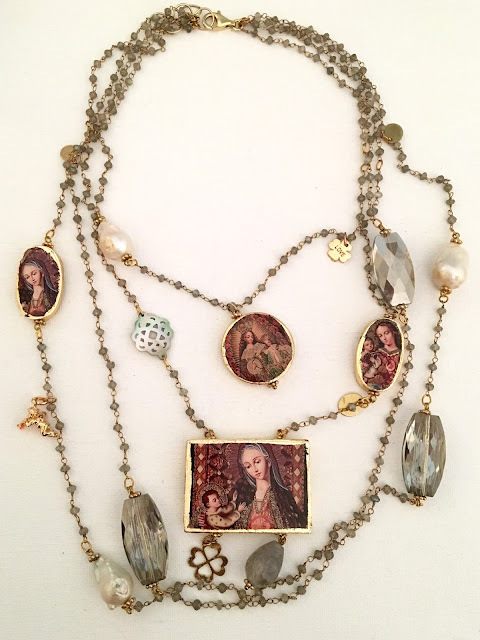 Over the years, Ulderica's passion has become an extensive jewelry collection with over 5,000 pieces purchased both in Italy and in Paris, where she also worked. 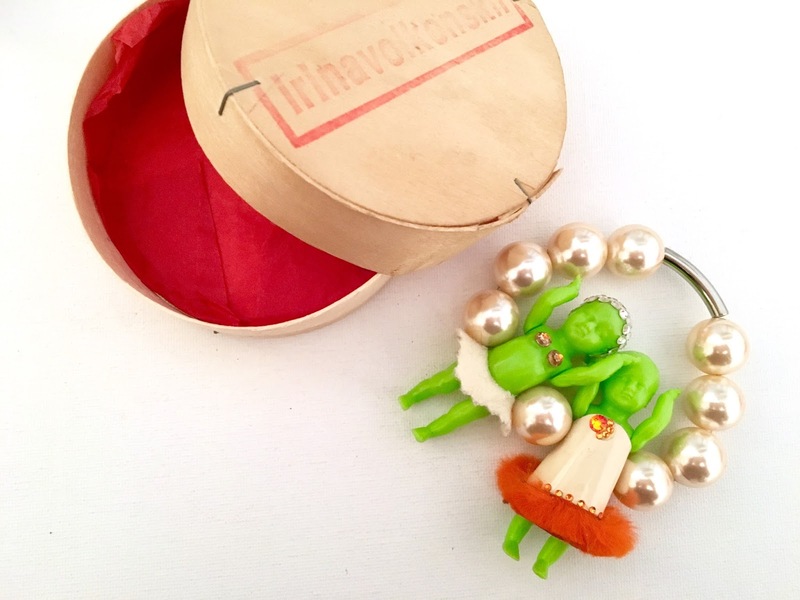 Some pieces are very hilarious and playful like the Rosa Templin's handmade works and those of the Russian designer Irina Volkonskii. Laura used to buy Irina's robots covered in crystals that she sold as big pendants, mini handmade cookie boxes covered crystals were sold as precious brooches, as well as strands of matryoshkas and pearls. More than mere fashion trends, the 1980s really represented art and creativity at its best quality. Profit was important but not a leading element in the production of these pop art pieces that came straight out of the designers' minds. Today these bijoux could easily be displayed as home decor, like an art piece and historical symbols. We can't easily say the same with most of today's productions. 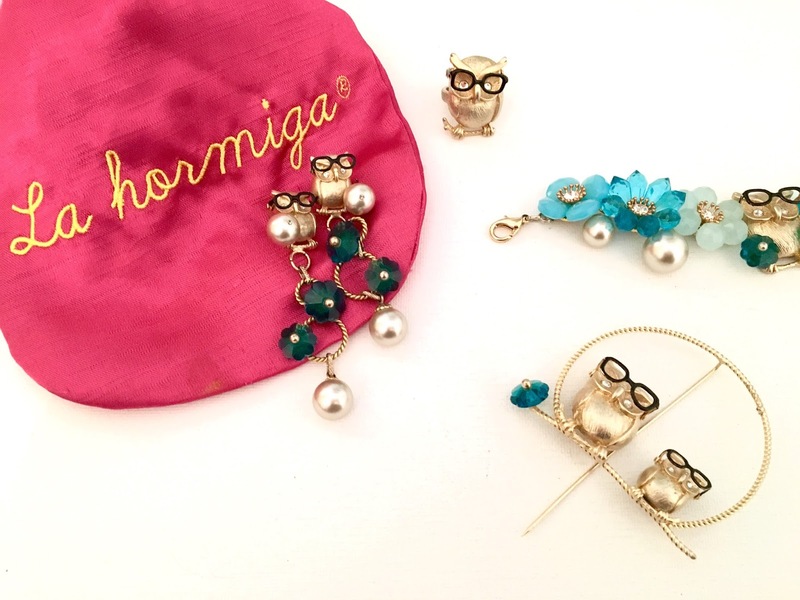 Among the designers that made the 1980s jewelry a real art, Ulderica is very fond of La Hormiga, the brand and shop of Javier, an Argentinian designer who works in the Brera neighborhood, in Milan. 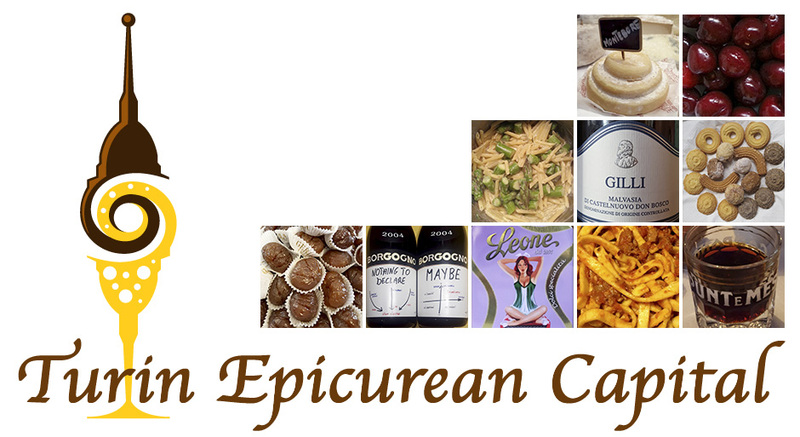 This designer is still operative and makes just a few one of a kind pieces, all handmade. Ulderica's passion made her a talent scout and the commercial director of many jewelry companies, today labelled as "ethnic chic", and for Nature, a branch of Reminiscence she was the official Italian distributor. Namsté is an Italian brand that makes art pieces more than mere bijoux. Ulderica owns some pieces made in horn, decorated and finished in pure gold. Her multistrand necklace, below, includes four Byzantine portrays of the Holy Mary, Baroque pearls and smokey grey crystals. The details and craftsmanship are just stunning! 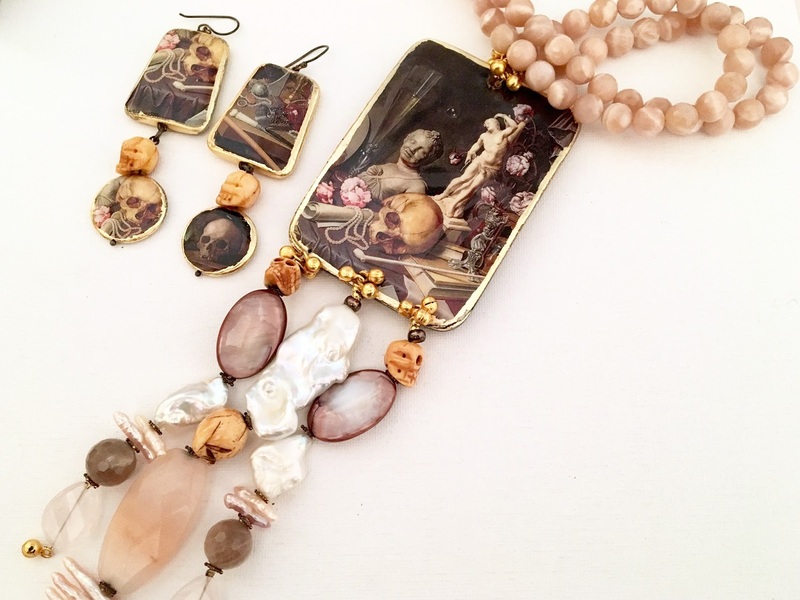 Like the Memento Mori set made of (extremely long) necklace and earrings in rose quartz, below. These pieces are worked on both sides and the earrings are mounted to dangle perfectly from the earlobes. 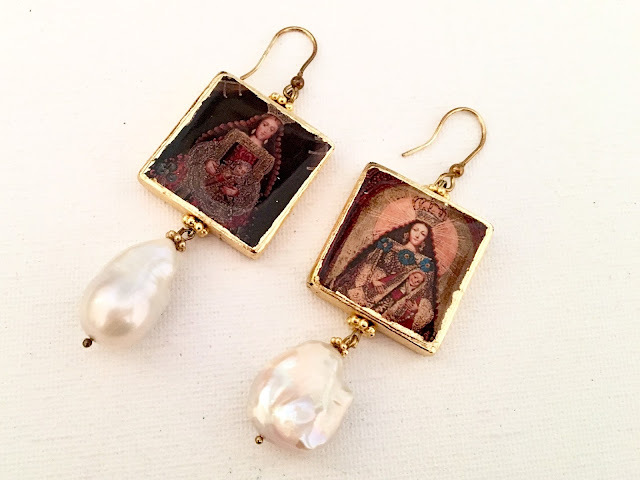 We could spend a whole year talking and describing Ulderica's unique collection, whose pieces span from the antique one, 1950s vintage one to contemporary masterpieces, like her earrings made of Sicilian lace pillow plated in gold and silver, serigraphed and decorated with stones. Themes, materials and shapes vary constantly giving her collection an added value. 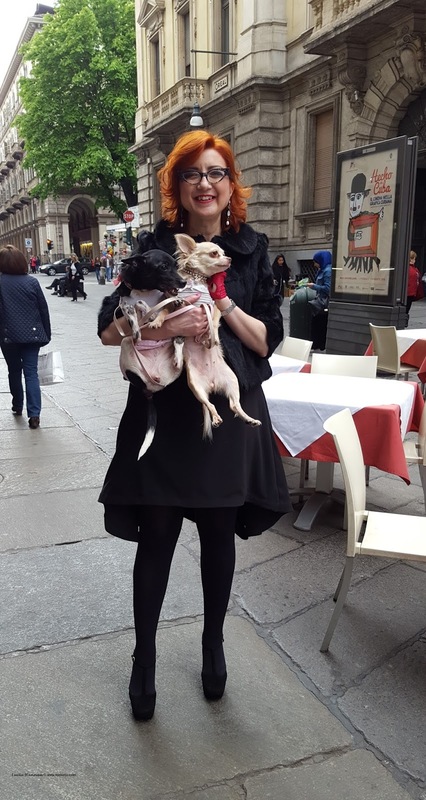 Besides her previous life as a model, her current luxury fashion blogger career and ever lasting passion for bijoux, Ulderica is also a gracious personal shopper, available to walk you through the wonders of fashion in Turin! Drop her a line at: hermyandmom@gmail.com also on behalf of your puppies because her Hermy and Gigi are always on top of all the newest trends for dogs!